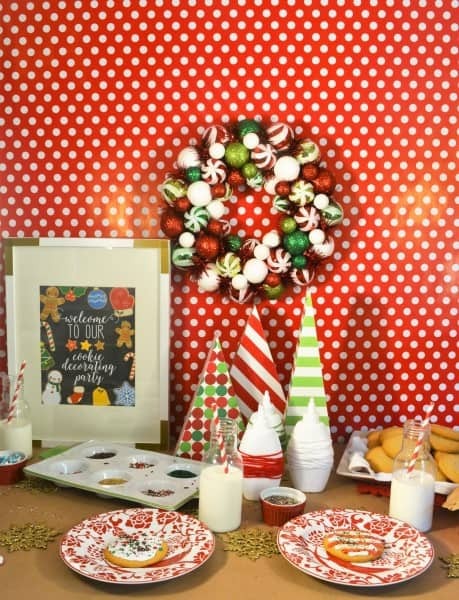 When I came across Glade® limited edition holiday scents at Kroger over the weekend, I knew they’d be a perfect addition to our holiday home decor. For me, scents have always had the power to evoke powerful memories and emotions. Glade® Timeless Joy™ (which has a Woodland Spruce scent) and Glade® Shimmering Wonder™ (think Plum Blossoms) are inspiring me to deck the halls this season. Glade® scents have the surprising ability to bring an always-welcome burst of joy during these hectic holiday months. 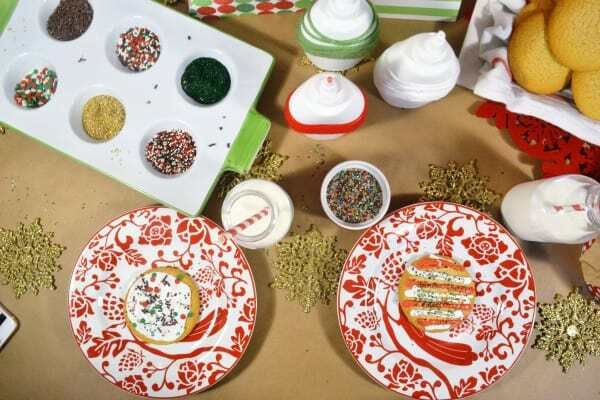 This kids’ cookie decorating party is an easy and fun way to share the joy evoked by Glade® scents this season. 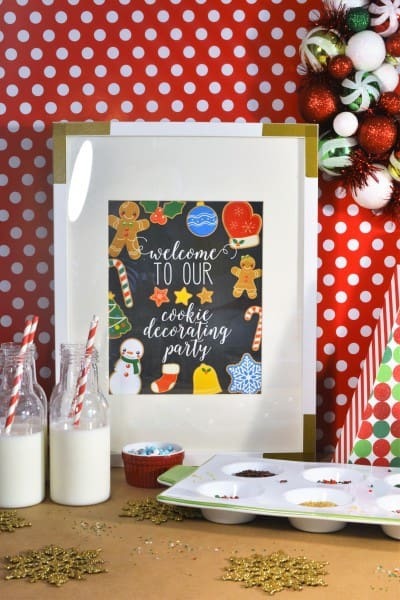 Gather some cookie decorating basics, such as plain sugar cookies, icing and sprinkles, add a bit of festive holiday decor, and let the kids take care of the rest! 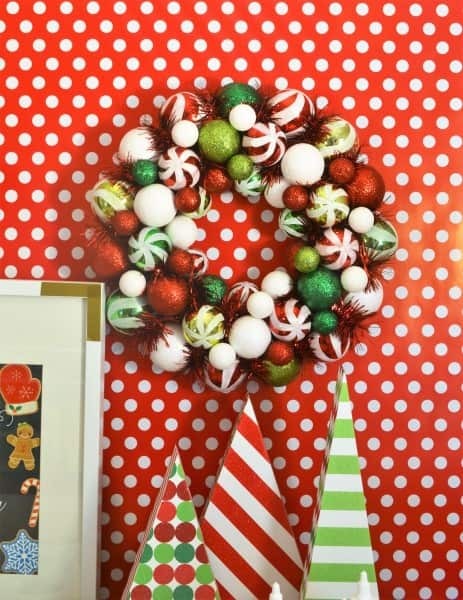 A simple holiday-themed wreath and triangle “trees” (you can easily make these by gluing scrapbook paper onto wooden triangles) add a festive touch without breaking the bank. Does anything pair better with cookies than milk? I think not. 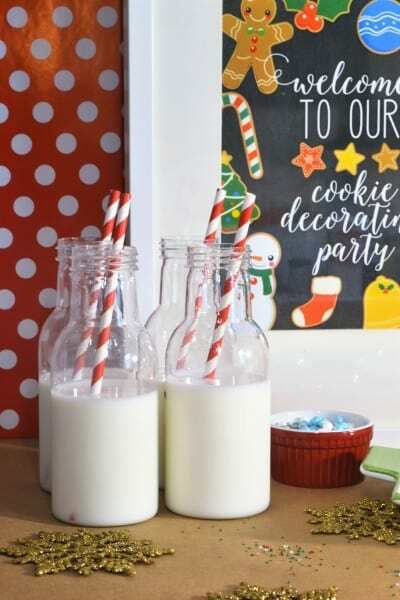 Fun paper straws add a festive touch. 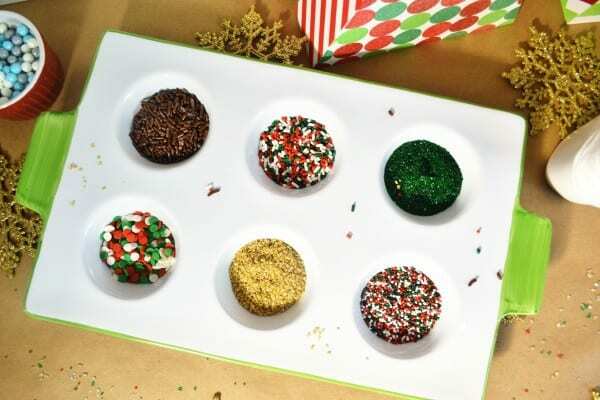 Displaying sprinkles in muffin tins (or other small containers) is an easy way to corral the goodies, while making sure everything is in easy reach. 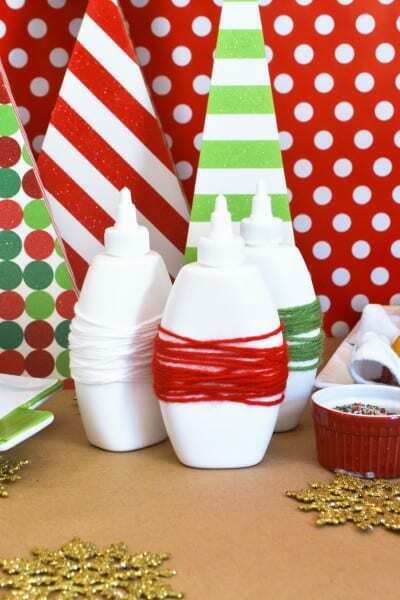 Removing the not-so-pretty labels from store-bought icing squeeze bottles (I DID say this was going to be easy! 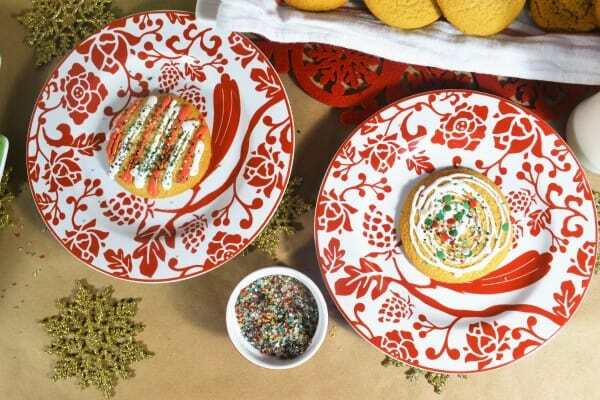 ), and wrapping them in colored yarn, is a fun way to add some color and texture to your table. 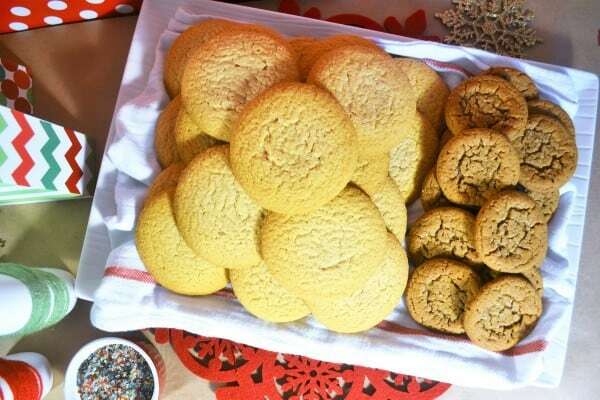 Have the kids choose their cookies (I provided sugar cookies and gingerbread cookies), and let them go to town! 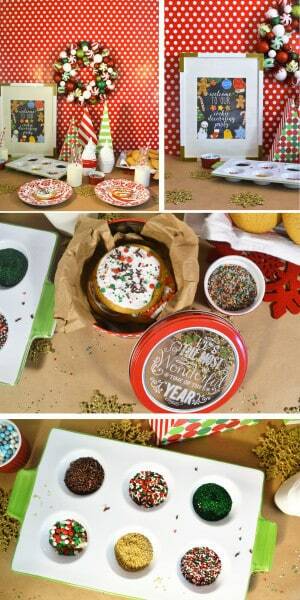 After decorating, the icing needs just a few minutes to firm up. 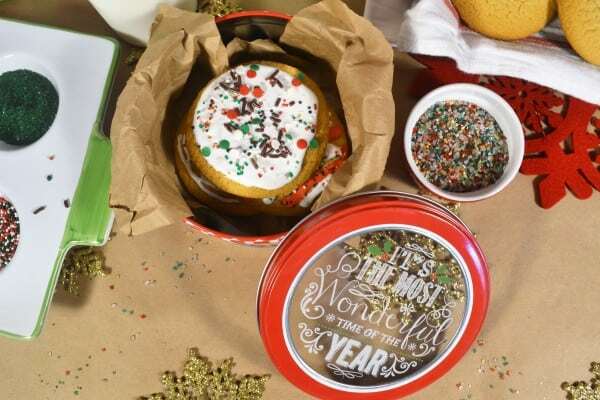 I provided small tins (takeout boxes would work well, too) for kids to take home their cookie creations. 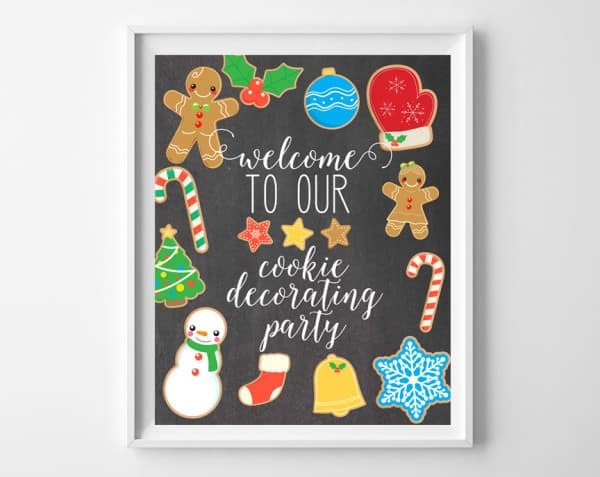 Looking to host your own kids’ cookie decorating party? 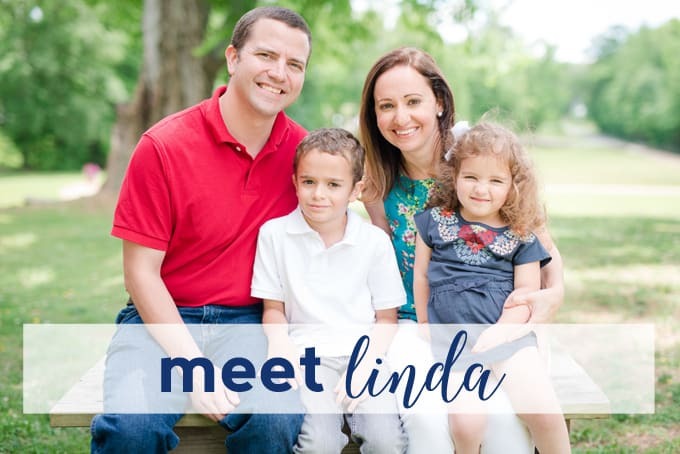 I created this free printable that you can easily download, print out and frame for instant, easy decor! 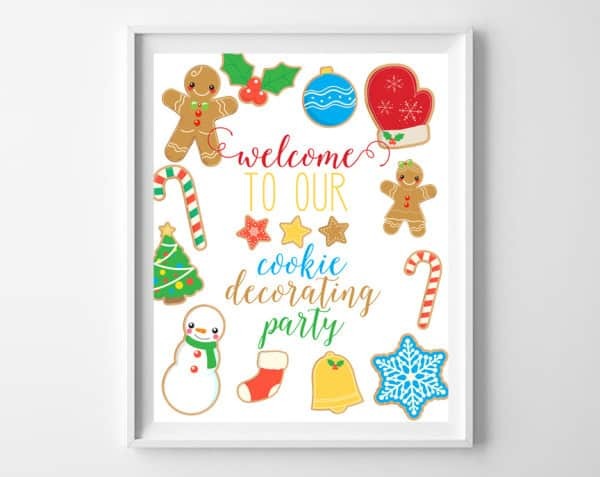 Thanks for reading all about my kids’ cookie decorating party!